Game recaps, Bruins and Jets clinch playoff berths, Bruins re-sign Zdeno Chara, and more in today’s NHL morning coffee headlines. NHL.COM: The Boston Bruins clinched a postseason spot by thumping the Florida Panthers 7-3. Bruins captain Zdeno Chara had a big day, becoming the 22nd defenseman in NHL history to reach 200 career goals and re-signing a one-year contract extension. The new deal is worth $2 million in base salary plus $1.75 million in performance bonuses. Meanwhile, the Bruins got some bad news earlier in the day when it was revealed Sean Kuraly will be sidelined a month with a fracture in his right hand. SPECTOR’S NOTE: Chara’s new contract is a reasonable one for both sides. The Bruins keep their captain in the fold for another season to maintain stability and leadership on their blueline. Chara gets a fair deal for a player of his declining (but still effective) skills. The move also provides the Bruins with salary-cap flexibility. With over $68.6 million invested in 19 players, that should provide sufficient room to re-sign restricted free agents Charlie McAvoy, Brandon Carlo, and Danton Heinen, who are all coming off entry-level contracts. The Winnipeg Jets (94 points) secured a playoff berth by blanking the Nashville Predators 5-0. Kyle Connor netted a hat trick while Connor Hellebuyck turned aside 33 shots for the shutout. The Jets also hold a four-point lead over the Predators for the top spot in the Central Division. Mark Giordano had a goal and two assists to give the Calgary Flames a 3-1 victory over the Vancouver Canucks. Giordano now has points in seven straight games. The Flames (101 points) have a six-point lead over the San Jose Sharks for first place in the Pacific Division and the overall Western Conference standings. The Colorado Avalanche (80 points) moved ahead of the Arizona Coyotes into the final Western Conference wild-card berth by defeating the Chicago Blackhawks 4-2. Colin Wilson had a goal and an assist for the Avs, while the Blackhawks (74 points) slip six points behind Colorado. The Avs played without winger Mikko Rantanen, who sat out the game with an undisclosed injury and will miss today’s contest against the Hawks. The Arizona Coyotes (79 points) dropped one point out of the final wild-card spot in the Western Conference by falling 2-1 to the New Jersey Devils in a shootout. Pavel Zacha tallied the winner for the Devils. The Coyotes are winless in their last four contests. Josh Bailey scored twice, including the go-ahead goal, as the New York Islanders doubled up the Philadelphia Flyers 4-2. The Islanders (93 points) move within one of the Washington Capitals for first place in the Metropolitan Division while the Flyers (80 points) are seven points out of a playoff berth in the East. The Carolina Hurricanes (89 points) remain two ahead of the Montreal Canadiens for the first wild-card spot in the East by defeating the Minnesota Wild 5-1. Teuvo Teravainen had a goal and two assists for the Hurricanes, while the Wild (79 points) slip one behind the Avalanche in the Western Conference wild-card chase. Wild winger Zach Parise missed the game with a lower-body injury. Brendan Gallagher, Max Domi, and Tomas Tatar each had three-point performances as the Montreal Canadiens beat the Buffalo Sabres 7-4. With the win, the Canadiens (87 points) hold a three-point lead over the Columbus Blue Jackets for the final Eastern wild-card spot. Gallagher tallied his career-high 33rd goal of the season. The Sabres are now officially eliminated from postseason contention. Vladimir Tarasenko and Brayden Schenn each had a goal and an assist as the St. Louis Blues held off the Tampa Bay Lightning 4-3. With 88 points, the Blues sit two back of the Predators for second in the Central Division. Lightning center Brayden Point scored his 40th of the season. The Pittsburgh Penguins (93 points) remain tied with the Islanders for second in the Metro Division after nipping the Dallas Stars 3-2. Jared McCann scored twice for the Penguins, including the game-winner in the third period. The Stars (82 points) sit two points above the Avalanche in the first wild-card spot in the West. Stars center Jason Spezza was a healthy scratch for the second time in a week. The New York Rangers upset the Toronto Maple Leafs 2-1 on an overtime goal by Ryan Strome. Despite the victory, the Rangers are officially eliminated from playoff contention. The Leafs (94 points) have won just four of their last 10 games. Anthony Mantha scored twice, including the winner in overtime, as the Detroit Red Wings surprised the Vegas Golden Knights 3-2, snapping the latter’s four-game winning streak. Vegas sits five points behind the Sharks in the Pacific Division. Wings defenseman Jonathan Ericsson missed the game with a lower-body injury. Ottawa Senators goaltender Craig Anderson made 26 saves to pick up his first victory since Dec. 17 by edging the Edmonton Oilers 4-3. Brady Tkachuk tallied two goals, including the winner in overtime. The Oilers (74 points) are six points behind the Avalanche for the final Western playoff spot. A lingering back injury prevented Senators forward Zack Smith from playing in this game. Speaking of the Oilers and Senators, Ken Hitchcock is receptive to the idea of returning behind the Edmonton bench next season. Meanwhile, the Senators confirm their intention to hire a president of hockey operations to provide assistance to general manager Pierre Dorion, who continues to have the full support of team owner Eugene Melnyk. SPECTOR’S NOTE: Remains to be seen if the eventual new Oilers general manager wants Hitchcock back. He might prefer bringing in his own bench boss. As for a new hockey ops president for the Senators, that move will take some of the burdens off Dorion, allowing him to focus on rebuilding the roster. The Los Angeles Kings downed the Anaheim Ducks 4-3 on a shootout goal by Anze Kopitar. NBC SPORTS: Columbus Blue Jackets goaltender Sergei Bobrovsky has been dealing with an upper-body injury that’s been bothering him for a while. His status for today’s game against the Vancouver Canucks remains unclear. SPECTOR’S NOTE: Bad enough for the Blue Jackets to be slumping when they’re trying to secure a wild-card spot. Having their starting goalie hampered by an injury makes matters potentially worse. DENVER POST: NHL referee and Colorado native Brad Watson has retired after 23 seasons. He worked 214 playoff games and eight Stanley Cup Finals. SPECTOR’S NOTE: Best wishes to Watson in his retirement. Of note in the story: Vrana triggered a $212,500 bonus in his contract (still his entry-level) with 20 goals. He could get another one if he finishes in the top six for ice time among forwards. If you look at aggregate, he’s currently sixth. A name that popped up in the Sens search for a president of hockey operations is that of Dean Lombardi, former GM and president of the L.A. Kings. Apparently they’ll need “permission” to talk to him, although if he’s no longer employed by the Kings why that is so is beyond me. George just because someone gets “let go” and is no longer employed by a said company doesn’t mean that he can go and work for the “competition” without their say which would of been in that contract he signed. In a lot of contracts people throw in non-compete clauses that restrict a person to go work for – in this case another team, after they leave thier current one. Usually a set term and can be canceled at the discretion of his former employer. It’s probably gonna be Chia. He’s not adverse to shipping out ultra talented players, so it looks to be a good fit going forward. LOL. Naw – he burned his bridges with Melnyk – no way he comes back. 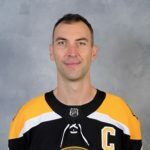 As a Bruins fan, I’m happy to have Chara back for another season. Good contract numbers, as well. I like the work Sweeney’s done with the team. Now, let’s get McAvoy, Carlo and Heinen signed! I notice that the young ex-college guy, Karson Kuhlman, got a goal last night. Hey Jamaica’s got a bobsled team and the Penguins are one point out of first place in the Met. Matt Murray has finally learned the benefits of being consistent at the absolute perfect time. He was both an unstoppable force and an unmoveable object last night when it counted. If the Pens get Malkin back before the playoffs start then I feel bad for any team that has to play them in a 7 game series. If they get everyone back healthy there is only one other team that is as deep at every position and that is Tampa. Jake Guentzel is the feel good story of the year, 40 goal scoring third round pick that 99% of scouts wrote off as being too small and having too small of hands. The kid is an absolute joy to watch play and grow.